My name is Natalie and I’m a college student from NY. My healthy hair journey started when I was relaxed about 3 years ago, after suffering from heat damage and excessive styling. My hair was thin and broken off from relying on stylists and not doing anything to take care of it. Since then, I’ve gone from relaxed to tex-laxed to transitioning and I couldn’t be happier with this journey and how far I’ve come. I decided to start my transition journey a few months ago during one of my stretches. I had been relaxing bone straight for about 11 years, then I decided to start tex-laxing, relaxer on hair for less time to just loosen the curl, for a few months and about a year later I started transitioning to natural. I’m 9 months in now and loving it! 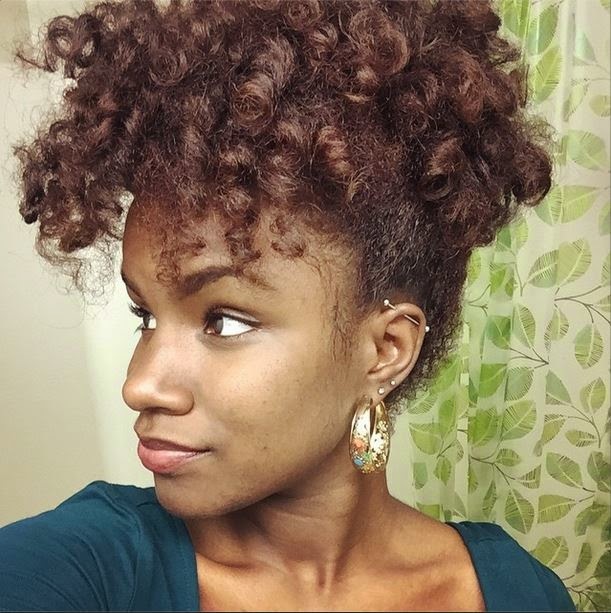 During my 4+ month stretches between tex-laxes, I fell in love with my new growth’s curl pattern and the thickness/volume. 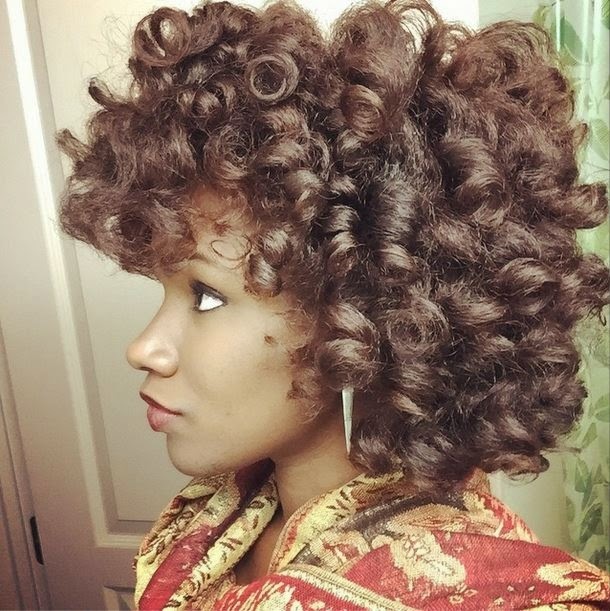 That combined with me being too lazy to go through the tex-lax process lead me to try a year-long stretch to get a better idea of my curl pattern. Around 7 months after learning how to work with my natural texture, I decided to transition. The idea of big-chopping about 8 inches of hair was terrifying to me, so I became a long-term transitioner. Now that my relaxed ends are gone, it’s a little easier to blend my tex-laxed and natural hair, so I’ll probably try to hold off on a big chop for another year. How would you describe your hair? My hair is about 4 inches natural and 4-8 inches of texlaxed hair depending which area on my head. As far as my curl pattern it’s a little hard to tell since my texlaxed hair weighs it down a lot. If I had to guess I’d say I have a mix of 3C/4A hair since there’s some tighter curls on my sides and looser curls in the front and back of my head. 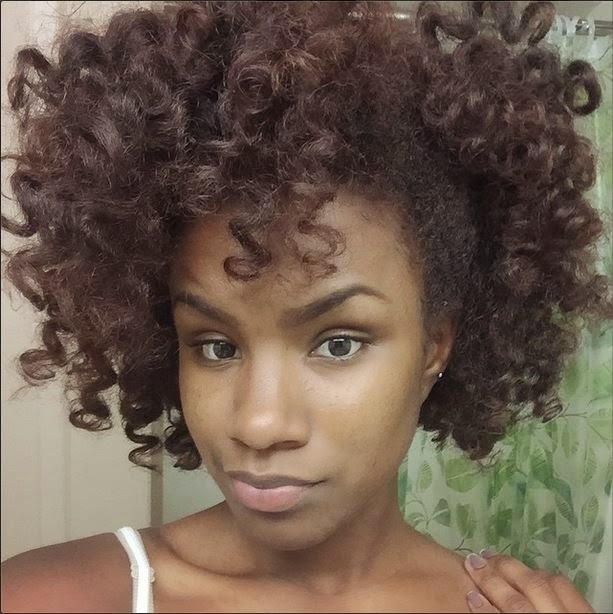 I also have high porosity hair from tex-laxing and dying my hair a red hue every few months. I love the thickness of my hair the most. Volume is a big deal for me and I love that since I’ve started transitioning my hair has gotten the thickest and biggest it’s ever been! What has been the most memorable part of your journey ? Has it been easy or difficult or both?! 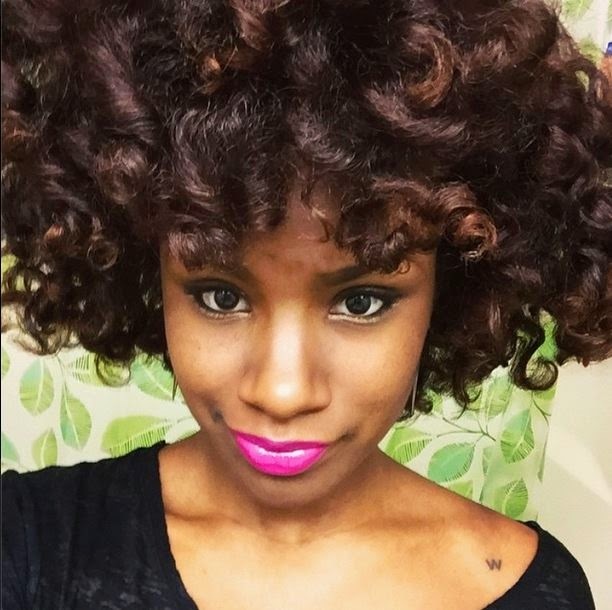 The most memorable part of my journey was learning to live without heat styling. I used to live for straight hair and it was kind of difficult without it for the first few months. After figuring out how to do cute styles without heat and seeing how much thicker and healthier my hair was after months of no heat things got so much easier. I’m thinking about holding off on heat until my transition is over. 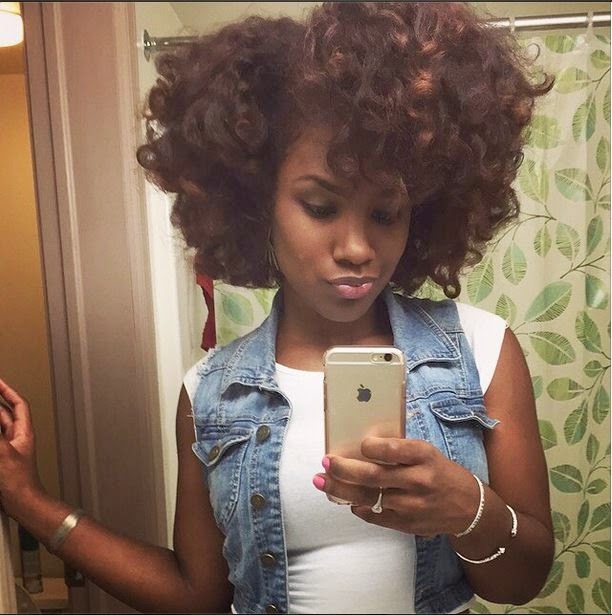 My absolute favorite styles are usually done with perm rods. 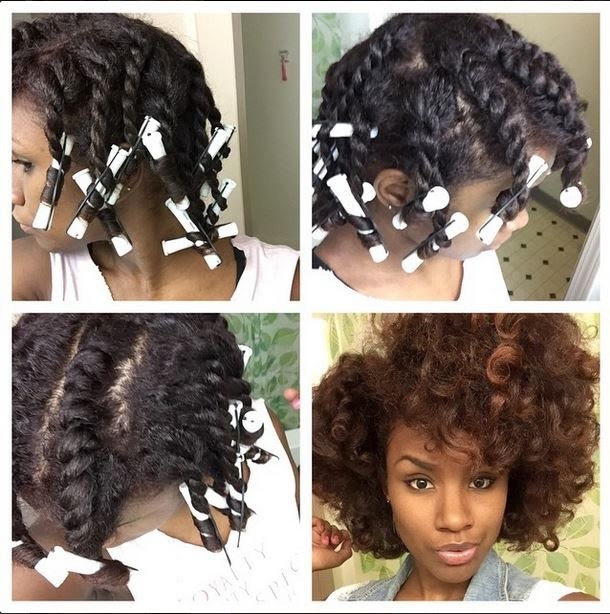 Perm rod sets last the longest for me and always blend all of my different textures. Twist and curls have also started to become a favorite now that I’ve figured out how to make it work with my hair. I’m recently been trying to get my air-dried roller sets down so I can avoid heat all together. It’s actually been great. I’ve had a lot of positive energy and support through friends, family and social media. For family/friends who I haven’t seen since my relaxed days they are stunned that all this hair grew out of my head lol. - Apply leave in (fav: Aphogee Reconstructor) and seal with oil mix (fav: JBCO and Coconut oil) to air-dry in bun, rollers or pinned down twists to stretch hair. - If styling (1-2 x’s a week with perm rods, twist and curl, braid out, etc) I’ll apply a styling cream (fav: Lottabody curl and style milk) and then gel or setting foam/lotion (fav: Aloe vera gel, Lottabody setting lotion and Giovanni styling foam). I’d have to say be patient with your journey, whatever it is. There’s going to be obstacles and frustration along the way, but you have to remember that you’re making progress and if you keep going you’ll eventually be where you want to be. To me, the beauty of a journey is being able to look back and see how far you’ve come, especially when you don’t realize those small changes day by day. Just thinking about where you’ll be a few months or even a year from now is the perfect motivation. Embrace your journey, love your journey and watch yourself grow.